Multi-instrumentalist Josh Bryan founded the British prog-rock band Mostly Autumn in 1995. Josh also releases albums as solo artist. 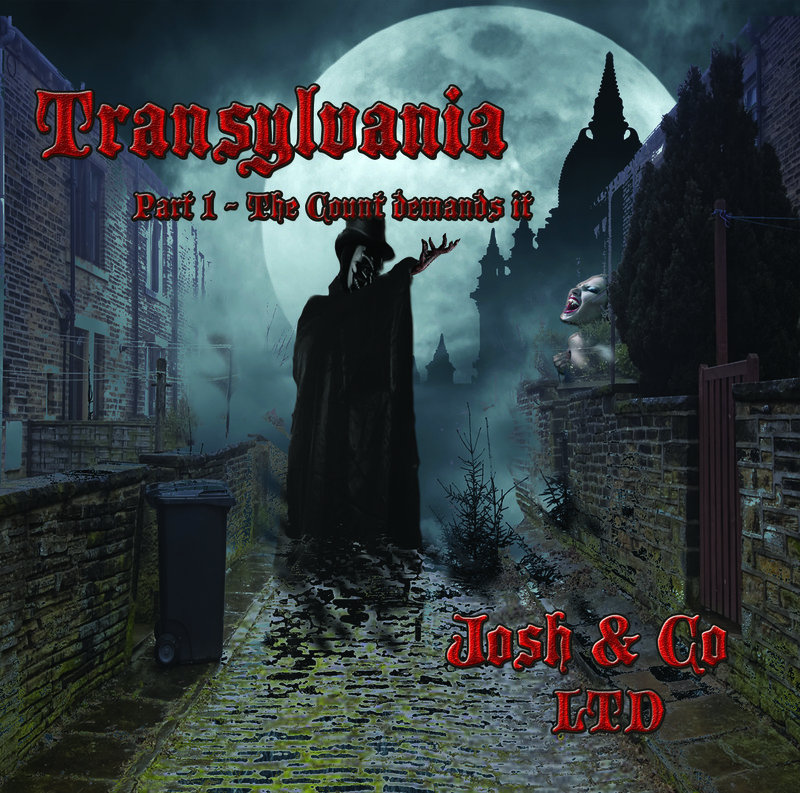 ‘Transylvania – Part 1 The Count demands it’ is the successor of ‘Through These Eyes’. Of course Mostly Autumn singer Olivia Sparnenn contributed to this album and also their drummer Alex Cromarty was present. Plus a number of guest musicians. I will mention two of them: Troy Donockley ( Nightwish, IONA) and violinist Anna Phoebe. This concept album is about Bryan and a beautiful female vampire. He meets some strange characters in Transylvania, such as the Count, the father of the vampire. This is an evil man. As expected ‘The Count speaks’ has an almost ghostly start. The pretty cheerful ‘The black lane’ is a fairly simple tune, but it lingers in your head. The intro the music of ‘Far Away’ is laid back. Bryan tells the story of his captivity. The spoken parts switching with singing. Mostly Autumn influences are evident in the vocal parts. ‘The castle of 1000 dead’ is a heavier rocking retaining melody. The almost bizarre sounds exactly fits the theme. Parts of melody and rhythm return. This invites to turn the volume quite loud so the cinematic music blasts through the living room . The sudden twist toward organ is superb. The Count announces ‘The carnival of the rotten sun’. Especially the timpani create a mysterious atmosphere. Classical elements, percussion, and piano are added and provide an impressive build-up. A children’s choir sings “lalalalala”. This is an appropriate contrast with the staccato rhythm of the music. The layer over layer is perfect. Troy Donockley plays a lot of the instruments himself here, including Uilleann pipes. Moreover, he also gives vocal support. You are completely ‘into the music’ when the Count hoots “STOP”. While the Count speaks, all the instruments are silent. He commands: “Dance , Dance ! ” Then the folk music and the party continues.. The quiet start of ‘The dead sun’ is quite different from previous tracks. Bryan’s voice sounds tender hearted. Above all, the couple of tones from the viola create extra impact. Tempo and volume rise slowly. During an instrumental piece the strings are matched perfectly. The drums are played gingerly and they complete this wow moment. Singing and music are varied with spoken parts. Just when I think “now there has been enough talking”, ‘Beyond the wall‘ starts. You hear layer on layer, everything is in harmony. Anne plays virtuously again here. The bright, high tones of the violin correlates well with the heavier music. The Count speaks and wolves cry .. then suddenly the CD ends too unexpected. How the story ends? Let’s hope we don’t have to wait too long for part 2. You don’t have to be a vampire lover to appreciate this album. Because Bryan represents all male characters is not always clear who is speaking when. In the booklet the narration by character is different in color and/or font. Small minus: In the booklet song title or name of the speaker are not listed . If you, while listening suddenly decide to read the lyrics, it’s a puzzle to find them.The sampling is added well. Everything is perfectly balanced over the speakers. The sounds are enjoyably in front when it should be in the foreground. And further away when it is supposed to be in the background. The quality of sound is just as at the Mostly Autumn albums: very good. An appropriate expression: Very cranckable ! Here you can check out the interview we recently did with Bryan Josh.